Long gone are the days when French Alcest could have been considered a well-kept secret and an unexpected surprise. Not after many a band started copying the movement from more or less straightforward black metal to post-metal contemplative shoegazing ambiance. Since not too distant novelty by Alcest managed to garner a sizable following, pretty soon Neige’s creations would have to be labeled major events, since it is my assumption many of those fans are yearning for Alcest albums impatiently. Two years after previous stepping stone Ecailles de Lune have passed, and today we have Les Voyages De L’Ame gracing the world on Prophecy Productions. Whether this is going to disappoint or comfort those laying in wait, the latest Alcest incarnation did not make for a drastic change in the style of music. It is if with Souvenirs d’un Autre Monde and Ecailles de Lune Neige got to a certain vast plane and he is simply not done exploring every nook and cranny there. Some compositions on the album have more streamlined direction (Autre Temps and Nous Sommes L’Emeraude), and some are pretty convoluted pieces (Là Où Naissent Les Couleurs Nouvelles, Faiseurs de Mondes and Summer’s Glory), but throughout it all Neige does not want to leave his land of dreams. His trademark blend of sweet melancholy and lighter shade of grit (in the form fuzzy wall of sound and out of nowhere lazy blastbeats) is always directed at creating the overwhelming sense of bliss and delight. No matter how Alcest journeys unfold or where they lead, the overarching notion is that “everything is going to be OK”. Even if a rougher inner axis emerges in a song (Là Où Naissent Les Couleurs Nouvelles), Alcest is still taking us on a trip through sunlit countryside. Example, harsher vocals in Faiseurs de Mondes are countered by soothing female voice and looping sweeping all-encompassing closing melody. A few moments of earlier Alcest where distortion and reverb dominated (Beings of Light) are now complemented with more direct, made for singles and videos, compositions like Autre Temps and Nous Sommes L’Emeraude. Tender strum suitable for any season of the year, gliding Autre Temps makes all kinds of sense if watched with a complimentary video, telling the story of love, growing together and happiness which you can almost touch. Throughout the album Neige’s vocals, an absolutely essential part of Alcest sound, are varied from the androgynous and withdrawn to being a more anxious storyteller and only once he slips into an all-out harsh rhetoric. However, with all of the rocking euphoria Les Voyages De L’Ame undoubtedly projects, and as much as I did find my mind drifting aimlessly, away from real-life problems while listening to the album, the songs here did not quite mesmerize and attach themselves to my conscience like in a prior two opuses. 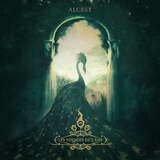 A purely subjective opinion, the more direct compositions on the album were able to relate to me better, not that I ever wish Alcest becomes one straightforward collective. I have my money riding that they won’t, but some sideways development next time around would be intriguing.